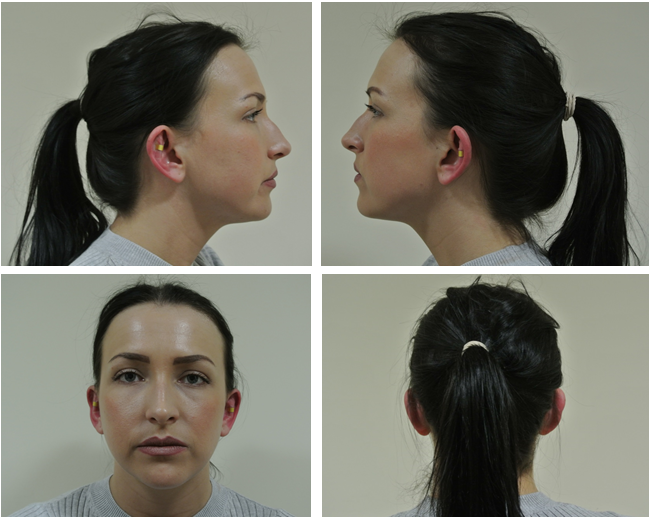 Yaz Smedleys earFold Journey – 2 weeks on!! 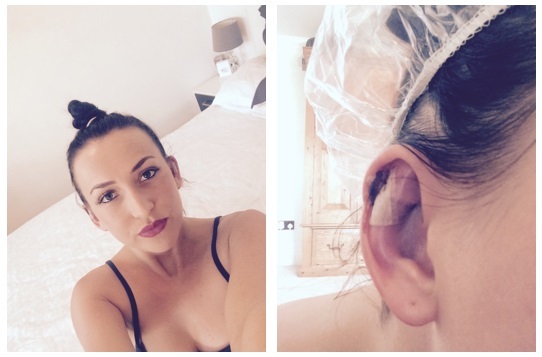 Home » News » Yaz Smedleys earFold Journey – 2 weeks on!! I am so pleased with my ears 🙂 I can’t honestly remember how they felt before, it’s so strange. My right ear took a little longer to heal as you can see, but I am over the moon with the results, I will post some more pics soon, keep checking back. Read my Blog from the beginning…. I have booked my consultation time for today at 10am, I am not sure what to expect, I am a little nervous but excited. Its been so long thinking about it. 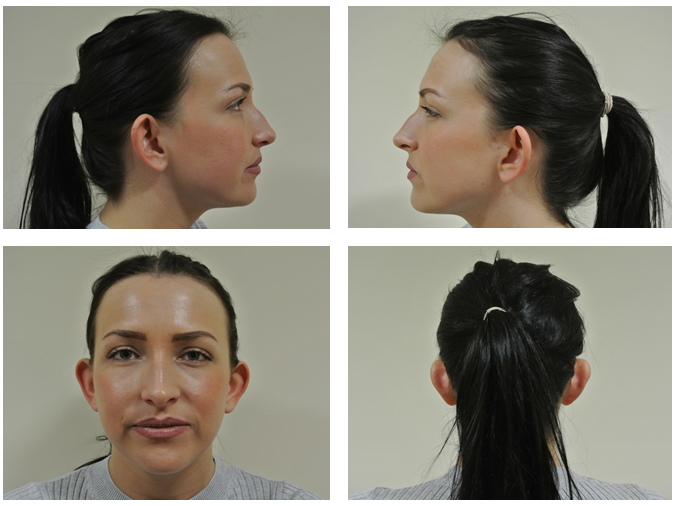 I will blog again after my consultation…. I have booked my consultation, it feels like Christmas, I am so excited to see my new ears. 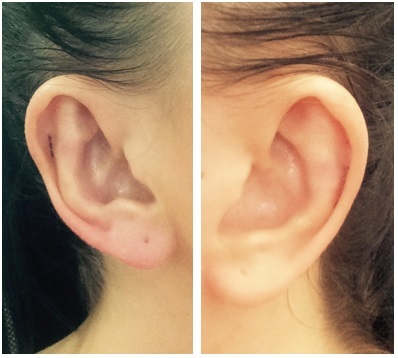 This is what my ears currently look like…. So the day of my procedure is finally here, and I feel anxious and excited. I have been told what to expect, which is that I go in to Changes, meet with Mr Ball and I have the clips positioned onto my ear. Then…. time to get new ears!! These are where the clips will be going. I am only having 1 each side, I believe you can have more than just the 1 in each ear, depending on how you want the result to be. We tried 2 in my right ear, but looked better with just the 1 clip. I am happy with that. 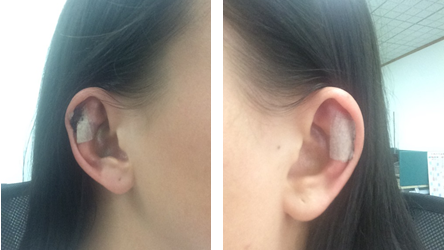 I am now ready to start the procedure, so in less than an hour I will have new ears… yay!! Immediately after surgery I am feeling well. Looked in the mirror and cried at the result – tears of happiness. Can’t believe that after an hour (in total) of mild discomfort, my ears look completely different and I have forgotten what they looked like before. Able to go to the supermarket and do some shopping, feeling a bit of pain, mild burning sensation but nothing major. Cooked dinner and watched TV before settling down for the evening. Woke up to find a tiny spot of blood on my pillow from my right ear. This ear is much more inflamed and bruised than my left. Today I am in a bit of pain– didn’t fancy going into work, because I use the phone a lot more than any other reason and ears are feeling tender today. Not much pain coming from left ear, more so from right. However still only mild discomfort. Over the moon with the result. Kept dosed up on painkillers during the night. Excuse the selfie ha ha. Went back to work yesterday and everyone commented on my ears – I am wearing my hair up – YAY! Left ear – tiny amount of bruising. Right ear, nearly black and quite swollen but strangely no pain, unless I touch them. They are looking good . Today was my first hair wash. Plasters got slightly wet but they are still firmly on. No pain today. Bruising has gone down on both ears and you would believe me if I told you that I had not even had surgery as it looks completely normal. Right ear is still swollen but can see a change. It is the best it has looked and I have no pain at all. Able to work for the entire working day with no pain and back on the phones. Note – Apart from my first night after the op where I dosed up on painkillers during the night, I have only taken 1 lot of painkillers every day since the op and not felt it necessary to take anymore. This would not have been the case had I undergone a pinnaplasty or other procedure. Black Friday Deals at Changes! 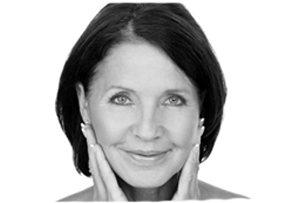 Do you know the difference between beauty facials and a great clinical facial? Trout pouts are definitely out!